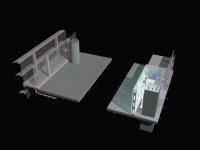 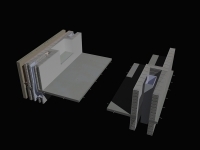 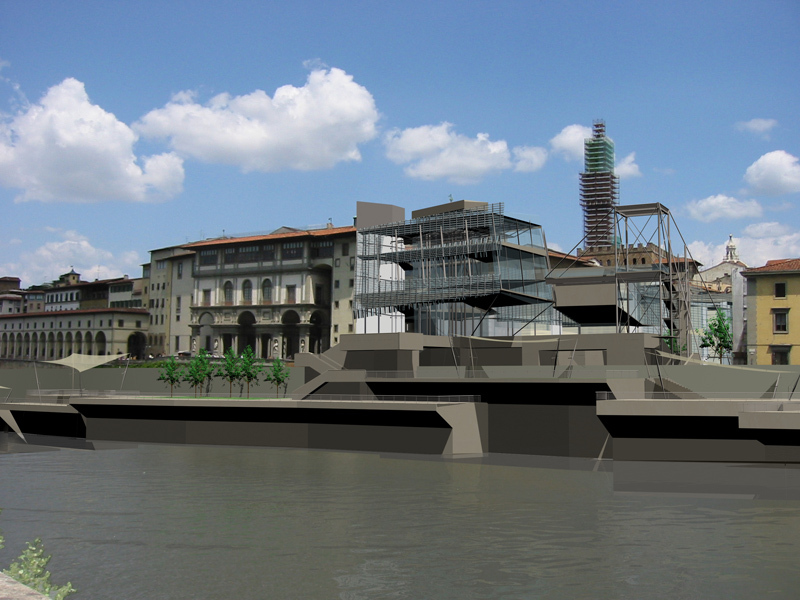 The project is an addition to the Uffizi Gallery in Florence, Italy. 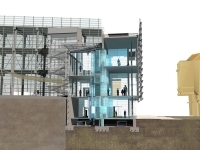 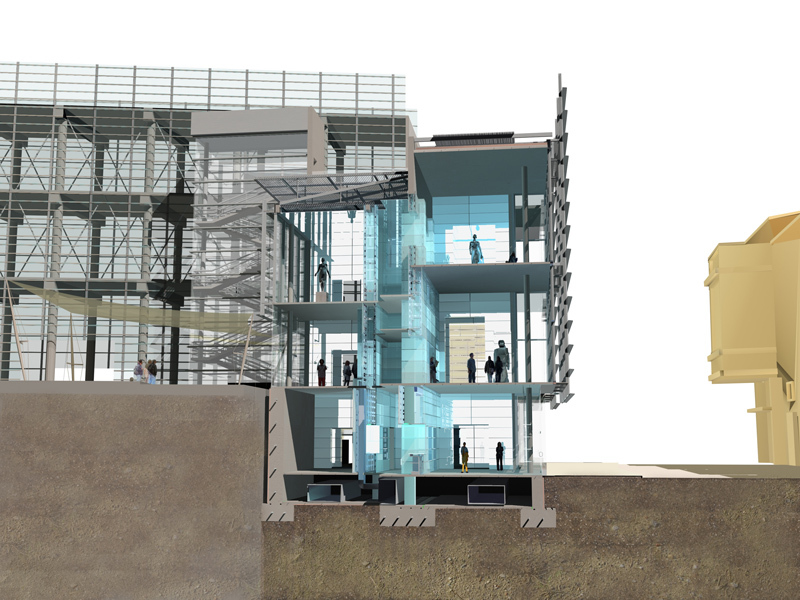 The semester long study required two resolutions of the project, one as a heavyweight masonry design and one as a lightweight steel and glass design. 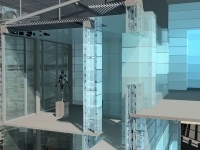 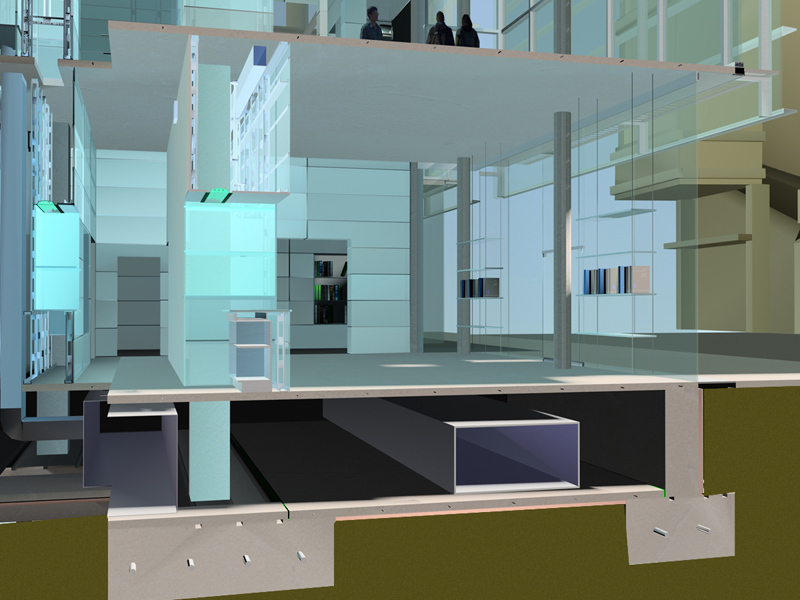 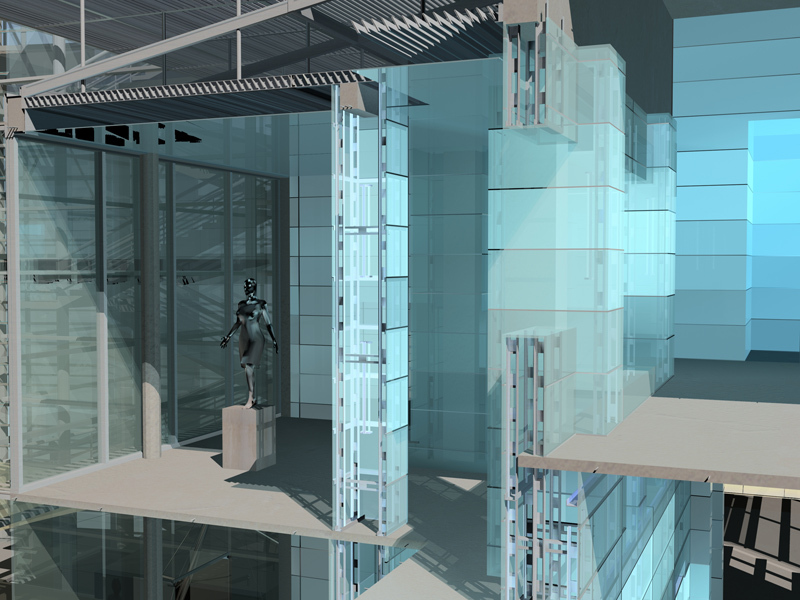 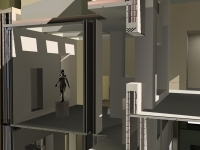 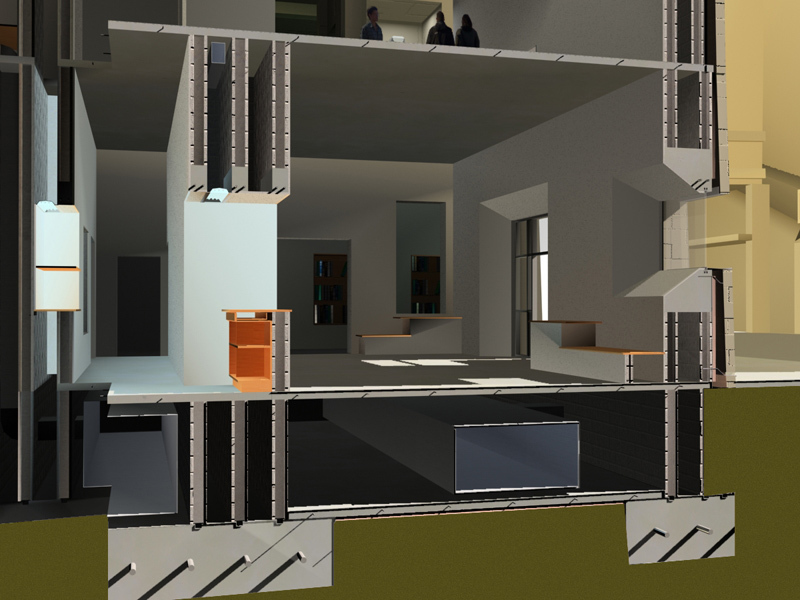 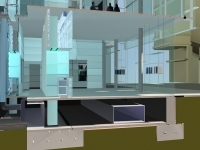 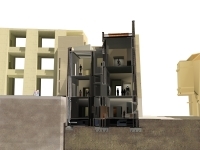 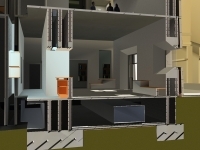 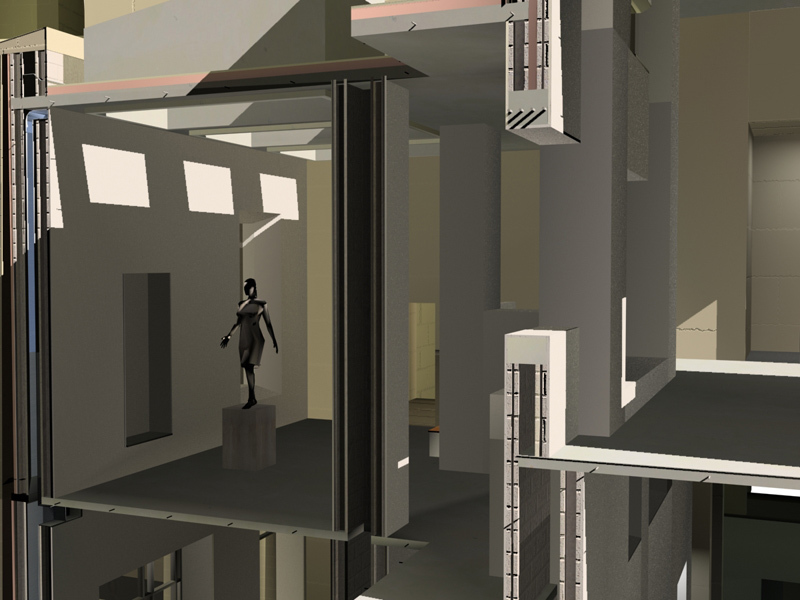 The proposals investigated the formal, structural, and experiential consequences of the two construction technologies. 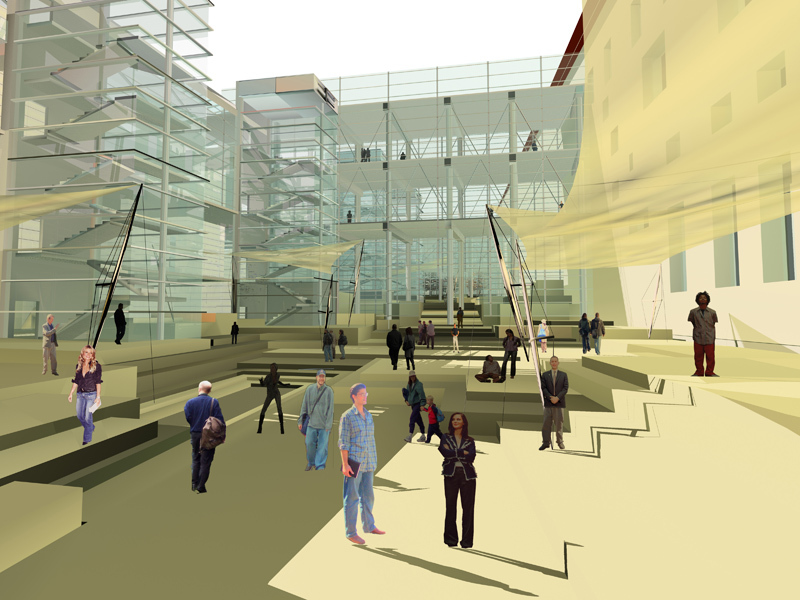 The addition contains a bookstore, museum art store, four sculpture galleries, a museum restaurant, and four theaters. 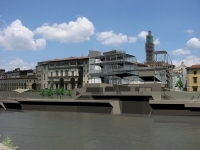 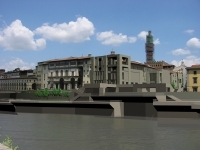 A new place to overlook the Arno River has also been created in both designs, along with a new public piazza to the north of the site which retains the existing storefronts. 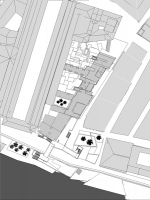 The additions both engage the eastern boundary of the site, preserving the street wall and revealing the eastern façade of the Uffizi. 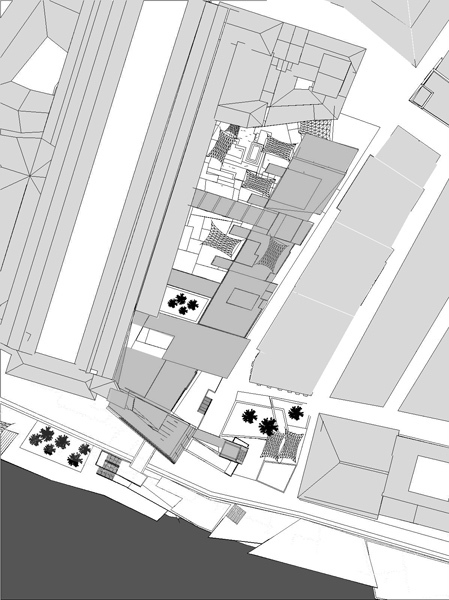 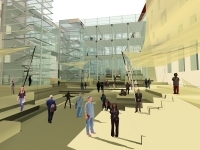 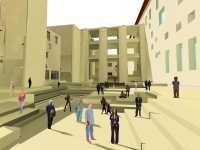 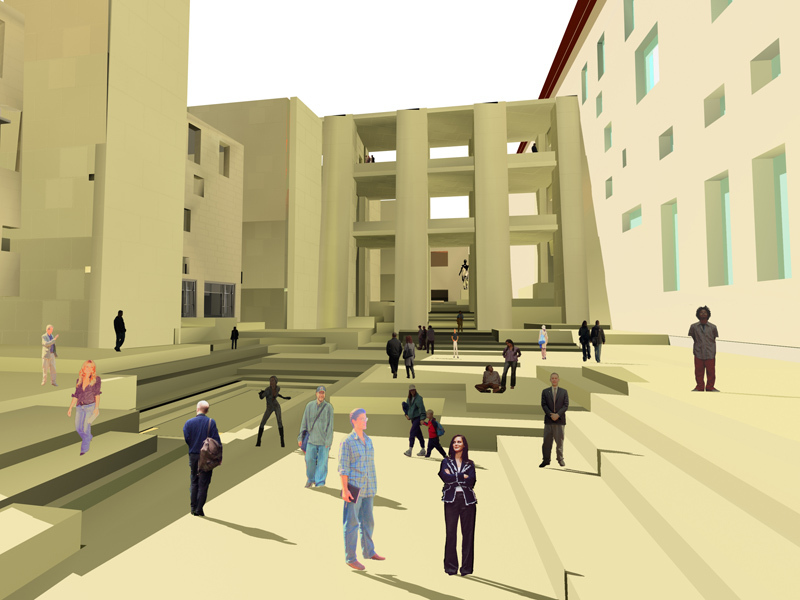 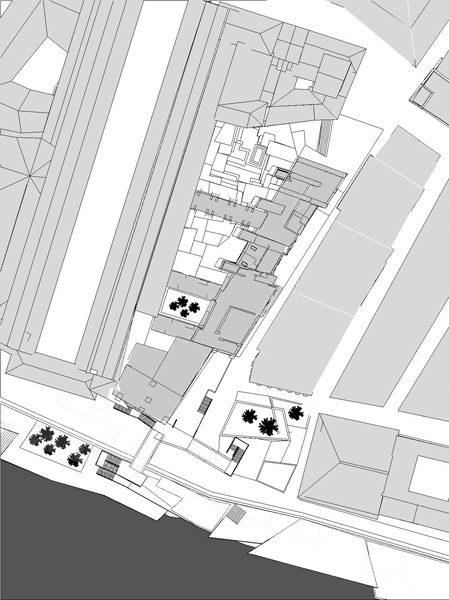 The connections to the existing building define a series of courtyards between the new and existing structures that create a transition from the gallery interiors to the urban environment. To the south, connections are made from the addition to Arno and the Piazza del Giucici which is being redesigned as a public park.